Metal roofing and asphalt shingles are perhaps the popular roofing options, and that is why we will be comparing the pros and cons of the two. So, let’s get going! Asphalt shingles are a top pick for roofing houses with more than 70% of single-family homes in American have this roofing material on their properties. However, that number has registered a slight drop over the past years due to the introduction of metal roofing materials that are more durable and energy-efficient. One of the reasons why asphalt shingles are common in the market is the fact that they are relatively cheap. The other reason is that they are attractive, durable, and can go the job (protect the home and its inhabitants from adverse weather). The fiberglass shingles that have a meshed mat made from fiberglass that’s covered in asphalt. Granules are then introduced as the top layer to help reflect sunlight. The fiberglass asphalt shingles are highly resistant to wear and tear, and they are light and sturdy. The shingles are made from recycled paper saturated in asphalt and granules at the outer layer. They tend to be bulkier to work with compared to the fiberglass shingles. However, they are the most stable, able to withstand strong winds. The may still feature on most home, but the organic shingles have been slowly phased out of the market and their production slowing coming to a halt over the past decade. The manufacturer stopped making these shingles because they dry out thus becoming prone to moisture adsorption and consequently less-waterproof. Fiberglass shingles have exceptional fire resistance and provide excellent fire protection. The shingles exude a certain elegance that makes with an ideal choice from any home style. They have a better range of choices and are very affordable. They are durable, can last for around 30 years in a home located in areas with moderate climate. 3-tab shingles are a sound choice for roofing repairs of a home that is to be listed in the real estate market. Asphalt shingles are available in an array of color, style, and size with options that can mimic slate, stone, and shakes. It is easy to handle the installing of asphalt shingles as a DIY project if you have the experience and equipment for the job. The shingles take away the need to install the standard roof sheathing. The standard architectural shingles have a rating for winds of up to 110-130mph while the 3-tab single can withstand 60-70 mph. 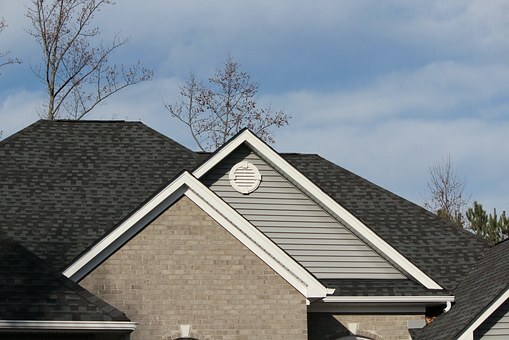 Homes in heavily-forested areas can benefit best from high-impact shingles such as the ones GAF manufactures. The repair process for most shingles is easy and cost-effective. The advantages of asphalt shingles mentioned above speak volumes as to the popularity of this roofing option. While there can never lack some positive regarding asphalt shingles, overall the lifetime costs of installing shingles in your home can be higher than the metal roofing options because they will be replaced sooner and more frequently than the metal roofing. Regarding the durability of this material, the cheap asphalt shingles in the market can work for less than 12 years in areas that are sunny or with hot climates. The rapid rise and drop in temperatures soon cause the singles to warp or develop cracks. Homes with poorly vented attics have asphalt shingled roof with short lifespan because of the trapped heat that drastically reduces the shingle lifespan. The asphalt shingles industry say that its products are recycled and can be reused for paving. However, there are a few facilities that handle the recycling of asphalt shingles. Moreover, they are the least environmentally friending roofing materials in the market. The complete replacement of the asphalt roofing is necessary once the two layers are spent. The old sheets are ripped off to create room for a fresh cover, which can be quite costly. The risk of mold and algae invading the home is relatively high with using asphalt shingles and thus then need to have the material tested and treated with anti-stain and anti-algae treatments to curb such a scenario. Get the shingle up to the roof in bundles can be tasking because the singles are heavy. Some of the old home and building still boast of metallic roofs. The roofing option as gradually regains fame due to the sudden demand for eco-friendly and durable roofing choices among the homeowners. And while the technology for the manufacture of the metal roofing has evolved, the material is still made and distributed in rolls of rigid sheet. They can include modular press-formed panels or vertical-seam panels that are coated with colored granules or painted. 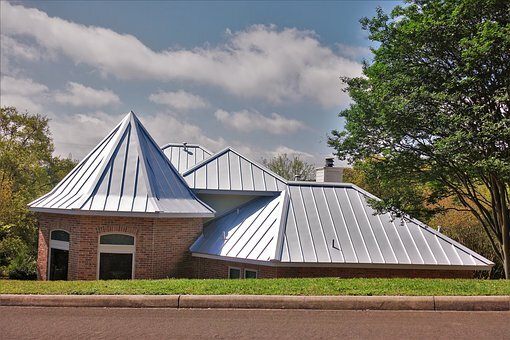 Today manufacturing methods for the metal roofing materials avail an array of options that range from the conventional styles to the modern designs that mimic tiles, shingles, and shakes. Most of the metallic roofing materials are made from light metal such as zinc, aluminum and lightweight steel. Copper metal roofing materials are also available but are pricey. 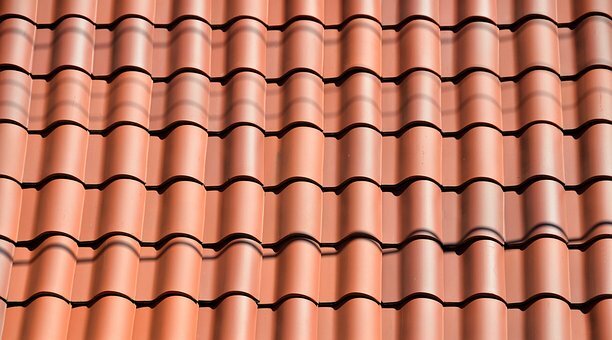 The metal roofing has a wide range of styles that mimic tile, shingles, slate, and shakes, and available in an array of colors. The roofing material is durable, can last 50 – 100 years and has warranties of over 30 years. Metal is a reflective surface; it reflects the radiant heat of the sun keeping the home cool and aiding in lower energy costs. Most metal roofing materials are fire retardant and with a Class-A fire rating. The installation of some style of metallic roofs, such as the ribbed panels and corrugated sheets, are cheap and quick to install. The metal roofing materials are designed to shed snow and rain with ease, and this means that homeowners do not have to worry about the formation of ice dams on their roofs during extreme cold. The material for metal roofing is 100% recyclable. Some of the metal roofing products are highly robust, lightweight, and impact- resistant. Metallic roofing is a practical application for any type and systole of home including cottages and cabins. Some of the top-end products are designed to meet the stringent wind uplift standards and other qualities for withstanding adverse weather conditions. While the above merits are enough to convince you that metal roofs are a worthwhile investment, you also need to base your final decision on a comparison of some of the drawback of metal roofing. The installation of metal roofs is significantly higher compared to the cost of installing wood roofing and asphalt shingles. They metallic roof systems require the addition of a substrate or solid sheathing to minimize the amount of noise that the roof will make especially when hit by rain, hail or strong winds. The light metal roofing materials can be dented or punctured when hit by heavy objects; thus a replacement is necessary, and this is costlier than replacing wooden tile and asphalt shingles. Some of the robust metallic roofing systems may do their job of protecting the home from strong winds or storms but may be an obstacle that prevents firefighters from breaking through to battle fires. The wooden tiles, shakes, and shingles are the ideal choice if you are thinking along the line of a rustic style. They work best for homes in areas where there is enough sun to ensure they stay dry. But their durability is also subject to quality installation. They are molded roofing materials with each type having a unique attribute that makes it a better choice over the other. For instance, clay will last longer than the composite tile but is costlier. The choice often boils down to preference and practicality. Slates are an ideal choice for upscale stone and brick homes. They are an affordable option that can result in a finish with a distinctive look and feel. The roofs are relatively new and are still in the testing phase. 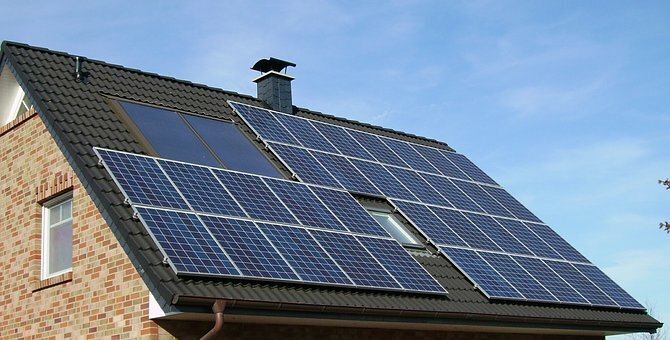 They may have shown tremendous promise with the aim of filling in the gap of energy-efficiency in roofing systems and solution. However, the Tesla roofs may be nothing more than vapourware. Objectively, there always is room to save some money when doing any home renovation project or building a new one. You should consider getting the quality material at affordable prices and hire good labor at a low cost. The secret is to avoid going for the cheaper offers for the materials or labor or else you will end up with a failing roof that soon starts falling apart. So, your efforts to save a few bucks should see you get estimated from a few reputable and experienced roofing contractors who are licensed and insured. They should be familiar with or specialize in the kind of roof you want. And point out to them that you also have a few other companies that are interested in handling the project; thus they should quote their best, and most affordable prices with work and product guarantees. This entry was posted in Default by Lydia Wheeler. Bookmark the permalink.